Republican Sen. Chuck Grassley of Iowa, the most senior member of the United States Senate, is warning the White House to stop their purge of national security officers within the Department of Homeland Security. Of particular interest to Grassley, according to the Washington Post, which interviewed him on the subject, is the possibility that the Trump administration may go after more key members in the department, including one that the president pro tempore of the Senate has worked with in the past. That individual is Lee Francis Cissna, director of the office of U.S. Citizenship and Immigration Services. Grassley is “very, very concerned” that Cissna, who worked closely with the senator when Grassley was the chairman of the Judiciary Committee, could soon be fired by President Donald Trump. 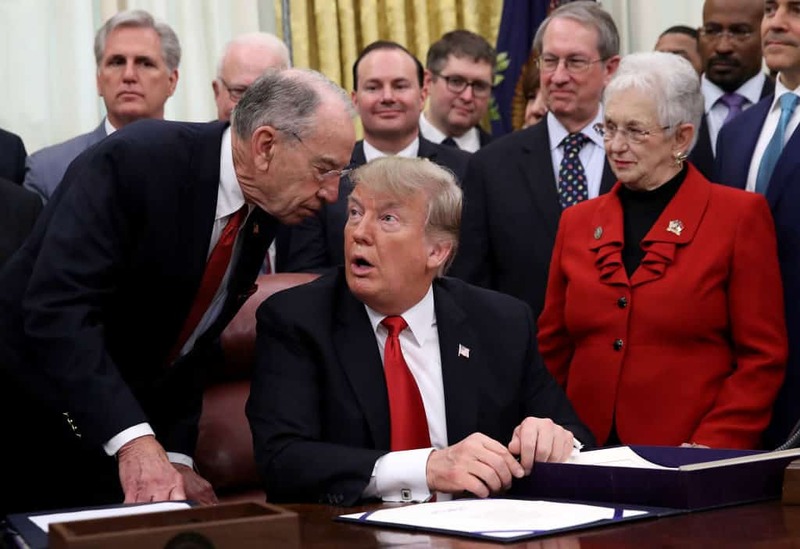 Grassley also expressed concern over the administration’s decision to pull the nomination of Ronald Vitiello last week, who would have likely been confirmed to lead Immigration and Customs Enforcement. Grassley’s deep concern comes as key actors at DHS — including former Secretary Kirstjen Nielsen and Randolph “Tex” Alles, the former head of the Secret Service — were pushed out of their positions earlier this week. Cissna could be the next to get fired, as could DHS general counsel John Mitnick, according to reporting from CNN. One anonymous official described the firings that took place as “a near-systematic purge” of the department. The firings seem to be happening under the direction of White House adviser Stephen Miller, whom Trump is now reportedly empowering with all immigration-related policy matters. The firings could be due in part to some in DHS butting heads with the president on policy matters. Per previous reporting from HillReporter.com, Nielsen, for example, opposed efforts by Trump to reinstate the controversial family separation policy that affected thousands of immigrants and their children last year. Reuniting those families could take up to two more years, according to government lawyers. Grassley also expressed concern over the firings for Trump himself, arguing that he’s damaging his credibility on the main issue that he can run on in 2020. Grassley had words to say regarding Miller’s efforts to shakeup DHS as well.